It’s nearly that time again! Those magical two weeks where the Isle of Man becomes the centre of the universe; a mecca for riders, racers and enthusiasts is almost upon us. 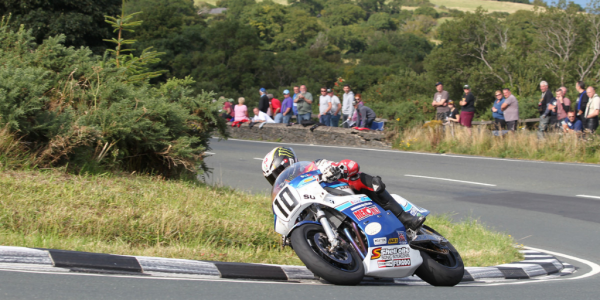 Whether this is your first or fiftieth TT, we at Locate Isle of Man have put together a bit of a guide to make this TT fortnight the best ever. 1. Catch the action from the Grandstand. 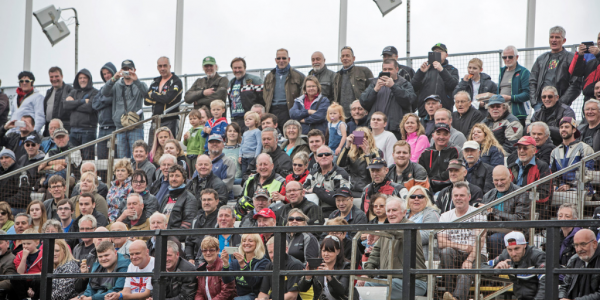 Sitting in one of the Grandstands is a once in a lifetime experience that you won’t regret. The chance to see your favourite riders whiz by in a dizzying blur of guts and glory is magical. The big kahuna of the TT Grandstands is the Main Grandstand atop Bray Hill. From here you see the start line, pit lanes, refuellers, podium and scoreboard. It’s an iconic place to be (and right near the paddocks and all the hospitality you could ever want!) But this is not the only grandstand of the TT course. 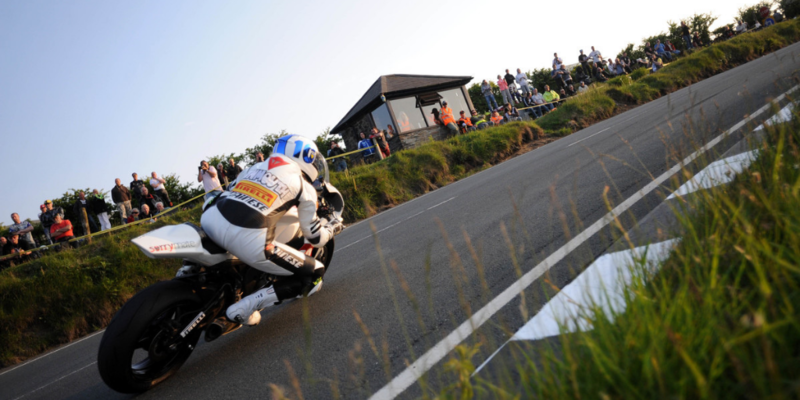 The Creg-ny-Baa Grandstand offers iconic views of the Island and breath-taking action as riders rip downhill towards the Creg-ny-Baa pub and on towards Brandish and Hillberry. This Grandstand has the great benefit of a pub right next door which is good because spectators on the mountain are often committed for a full day as the roads are (obviously) closed for racing. Hillberry Grandstand is just downhill from the aforementioned Creg-ny-Baa. Bikes tear through here at top speeds! It’s one of the fastest corners on the circuit. Nobles Park Grandstand is another great option for soaking up the racing and the festival atmosphere. You do need tickets to these big grandstand and they tend to sell out quickly. There are also some other seating areas and grandstands that offer pay as you enter seating like Braddan Bridge, Rhencullen and countless private front gardens that people open during the fortnight. 2. Find the perfect vantage point! Of course you can trek out along the course and find your own free viewing spot. Many locals will just venture out to their favourite park (or hedge) along the mountain course. Parliament Square, Ballacraine, and Barregarrow offer great views of exciting bends and turns in the course. Crosby Village and Sulby Crossroads are especially great stretches for witnessing the true speed these riders get up to. Of course if you fancy being near a pub for some ‘hydration’ between races, Quarterbridge, Union Mills and Noble’s Park might be more your taste. There are literally no bad places to watch the road race from and you can mix up your vantage point over the course of the week. 3. Soak up the atmosphere. The Douglas Promenade will be completely transformed from the tranquil, garden clad walkway to a fairground of funfair rides, festive tents and leather-clad patrons. Make sure to take an evening (or three) to soak up this scene, watch the fireworks and catch the Red Arrows as they blast through the sky. 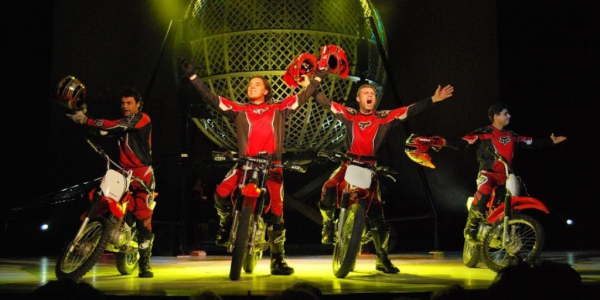 The Prom will also showcase tonnes of stuntmen and exhibitions and it is not unlikely to catch riders practising their wheelies outside the beer tents! Speaking of beer tents… you need to spend some time at Bushy’s- a TT institution and where you can find most of the Island’s residents any night of TT. The buzz is electric as residents, visitors and riders relax, mingle and enjoy a pint of our world-class brews. 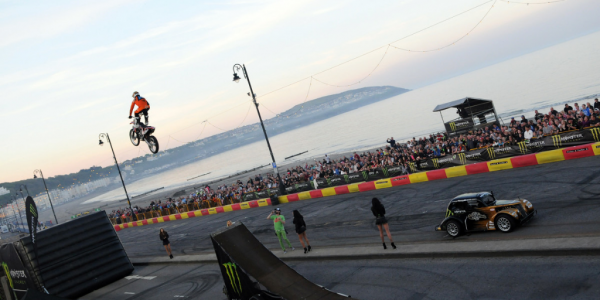 During TT, the Isle of Man is not only inundated with riders and fans but performers, comedians and DJs. You can catch some of the best acts in the world at our Villa Marina venue, Grandstand area and lots of other venues throughout the Island. Make sure to keep an eye out for ticket releases for these events as certain performers and parties sell out incredibly quickly. 5. Make the most of the non-race days. The TT fortnight is not 14 days of straight races, rather a week of practice, some qualifying trials and 4 days of contested TT race. Race week is contested on the Saturday, Monday, Wednesday and Friday… so what to do on the days betwixt? The Sunday between the 2 weeks is affectionately referred to as Mad Sunday and is the day that the mountain roads are opened to the general public and visitors and riders alike test their skills on the Mountain Course. Sunday is also the time to pay homage and respect to all those who made the ultimate sacrifice to the sport during the Simon Andrews Legacy Lap. Last year, 10,000 bikes and 11 miles of convoy honoured the fallen riders. 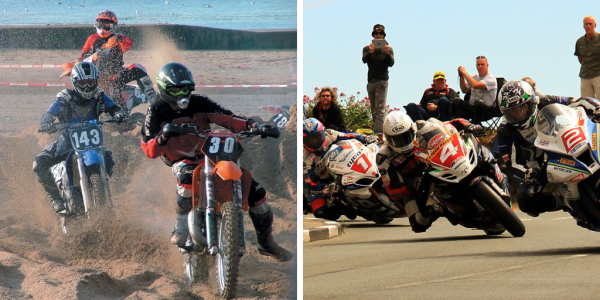 Towns around the Island host their own events during the week like Peel’s TT Beach Cross, Port Erin TT Day, the Ramsey Sprint and the Douglas Beach Race. Make sure to visit https://www.visitisleofman.com/whats-on for all events. 6. 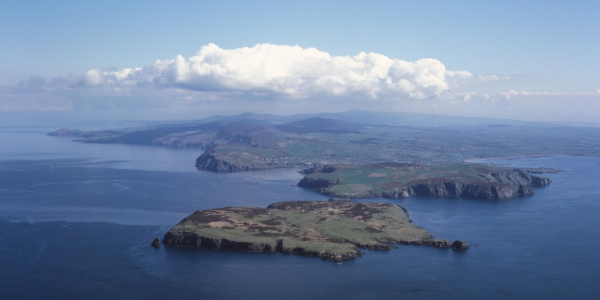 Enjoy the Isle of Man and everything it has to offer. The Isle of Man is truly a special, special place. Not only are we a road racing mecca, but we are the first and only entire jurisdiction to be honoured with UNESCO Biosphere Status, home to an award winning food and drink sector and have miles upon miles of foot and bike paths. While we live for speed- we make sure to slow down a bit and enjoy the gorgeous scenery of the Island.